NEW YORK, NY--(Marketwire - January 11, 2011) - appssavvy (www.appssavvy.com), a company that connects brands to people through social activities performed across apps, web and mobile, today announced Rahul Daterao as chief technology officer (CTO), a newly created position. In this role, Daterao will be responsible for the evolution of appssavvy in 2011 to a social activity technology and product business supported by the company's already established sales and services functions. He will lead all technical development across appssavvy and lead global technology teams encompassing product development, infrastructure and engineering. "As we enter 2011, our vision for social activity advertising is entrenched in technology and product," said Chris Cunningham, co-founder and CEO of appssavvy. "We see a tremendous opportunity to bring together brands with publishers across apps, web and mobile, to create a social activity marketplace that scales to the levels of the masses engaged in social media. Rahul is the perfect person for the job as we drive forward on making advertising better." Most recently, Daterao served as CTO of KickApps, a leading social publishing platform, where he led over the last five years the company's technology initiatives and teams, and provided strategic technological guidance for new products and features, platforms and services, and network build-outs. His experience spans nearly 15 years and includes senior technical positions at financial institutions, including Citigroup and Deutsche Bank. Daterao's recruitment marks the second C-level hire for appssavvy in recent months; in November, Jack Bamberger was named chief client officer (http://bit.ly/hcsiDp). "Being part of an organization that's rethinking and reshaping the online media landscape is tremendously exciting," said Daterao. "The roadmap ahead for appssavvy is a significant task, but one that has the opportunity to be a game-changer for better advertising for brands, publishers and consumers." Daterao specializes in architecting highly scalable social media platforms and enterprise-class software systems. He's fluent in Java and PHP based open source web application frameworks and also an expert in new technologies, including Facebook, Android, and iPhone app development. 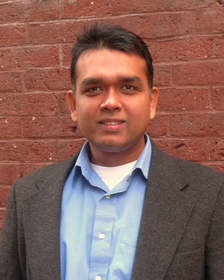 Daterao received his bachelor's degree in computer engineering from the University of Mumbai and his master's degree in computer science from Fairleigh Dickinson University. appssavvy rethinks the relationship between delivery and reception of advertising. We partner with leading web publishers and developers to uncover what people are doing across the Internet. Understanding people and their actions is what enables appssavvy, and the brands and agencies that we work with, to leverage and experience social activity. In short, appssavvy is a platform that connects people and brands through social activity. For more information, visit www.appssavvy.com.